I've loved Carol Hannah since her Project Runway days, and I've continued to follow her blog. 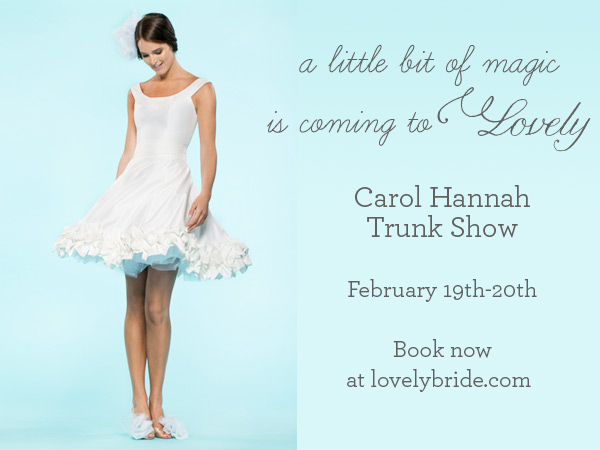 Now I'm SUPER EXCITED that she's having a trunk show at Lovely here in New York. Be sure to go check it out!